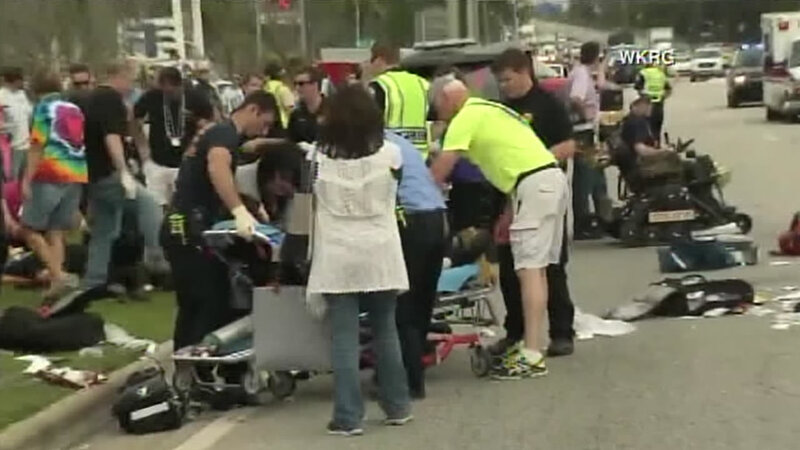 GULF SHORES, AL -- Police in the Alabama beach town of Gulf Shores say a car participating in the city's Fat Tuesday parade accidentally plowed into a band, leaving three young people in critical condition and eight others with less-severe injuries. Thousands of people are expected to throng the streets for Mardi Gras celebrations in New Orleans. Fat Tuesday is the culmination of the city and region's Carnival season. Some of the biggest parades will take place along the St. Charles Avenue parade route. Families, tourists and locals generally set up their chairs and ladders early to get a good seat for catching the trinkets thrown by riders on the floats. In another part of the city, people dressed in elaborate costumes will take part in the St. Anne's parade, an eclectic walking parade. At the stroke of midnight, police on horseback will do a ceremonial clearing of revelers on Bourbon Street to mark the formal end of the Mardi Gras season before Lent begins Wednesday.